DVDs are a must-have media format for movie and video fans. With high-quality video and audio, they have become a popular entertainment medium. If you have a collection of DVD movies or music DVDs and want to extract a chapter or make a full backup copy from a DVD to a video file in selected format on Mac, these are the Mac DVD Copying and Ripping tools you might be looking for. After testing several DVD Copier and Ripper tools, I find it’s really hard to say which one is the best. Perhaps A supports numerous outputs. But it only rips part of the protected DVDs. Maybe B is powerful enough to rip the latest protected DVDs. However, the features are difficult to understand for beginners. Hence, you are welcome to comment below with your own experience. Let’s read the 2017 best DVD Ripper for Mac Reviews. Dimo DVDmate for Mac is the first best DVD ripper for Mac I recommend. It is the all in one solution for video entertainment. It never shuts down by himself when rip DVD videos, and the output quality never has blocks or loss images. It can run in OS Sierra 10.12, and OS X El Capitan 10.11 and earlier system. You can use it to rip DVD, download online videos, one click share DVD, etc.. You also can use it to edit you DVD videos before you rip them. What is more, with high conversion speed, it will save you more time. For example, it may take your one hour to rip a movie. It only takes your a quarter. with 150+ popular output formats and customized profile for popular devices/editors/online sites/game consoles, you could rip your DVD video to any format you need. Dimo Video Converter Ultimate for Mac is an application that does more than simply transfer files from a plastic disc to your hard drive. It enables you to liberate your DVD movies from their plastic prisons, take them with you and watch them.With the product you can quickly copy DVD to computer as video_ts folder, lossless mkv, multi-track MP4 for backup. You can also rip DVD to 3D videos and common HD 4K, AVI, MKV, FLV, MOV, VOB, MP4, MPEG, WMV, MP3, AC3, M4A, WMA, etc. for portable player (such as iPad, iPhone, Samsung, Surface, Asus, Google, Amazon Kindle, HTC, LG, etc. Android/Apple/Windows tablets and smartphones), gaming systems, projectors, 3D devices, HD TV, media players, media servers, etc. Besides, it can rip Blu-ray disce file and convert SD/HD/4K videos. FFmpeg is the third best DVD ripper I recommend. It is the leading multimedia framework, able to decode, encode, transcode, mux, demux, stream, filter and play pretty much anything that humans and machines have created. And it can play on the Linux, Mac OS X, Microsoft Windows, the BSDs, Solaris. The function has some difference on different operation system. 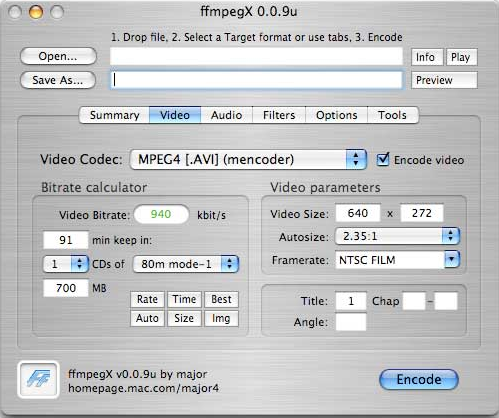 On Mac OS X, FFmpeg can copy DVDs and convert some video from one format to another format like AVI to MP4, MOV to MP4, etc. Although FFmpeg is called “fast forward”, the speed is not as fast as it said. And the output quality will loss a lot of images. 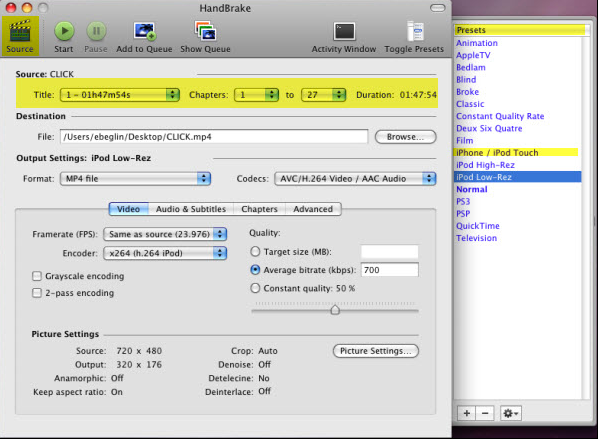 Any Video Converter is the fourth best DVD ripper for Mac I recommend. It is a free with limited functionality. Any Video Converter can run in Windows 8/7/XP/Vista and Mac OS X 10.7 or later. So if you download this video converter, you should know the operation system you taking. Any Video Converter for Mac is an universal conversion software for Mac users. It can convert almost all video formats and rip DVDs. What is more, Any Video Converter is a YouTube Video Downloader and supports 100+ online video sharing sites. However, Any Video Converter is a free with limited functionality. So sometimes the function of it is imperfect. The output video will loss some images. With a large DVD video, it will take you several hours to rip it. After the trial, you will be surprised to find that this software can not only provide you DVD backup, converting, playing, editing, sharing solutions, but also can convert regular video formats to for you. It supports variety of formats output. You can play the converted video on different players and popular devices anywhere anytime. In addition, it can also convert Blu-ray disc and SD/HD/4K videos. If you need to edit your DVD files, this reviewed DVD ripper can give you a favor. With it, you can cut, flip, crop, add watermark/effects, etc. It is worth mentioning is that it can help you to convert DVD movies to 3D. After all 3D technology and 3D movies more and more get the favor of people. No matter how easy an application is to use, occasionally some customers need support. Manufacturers that provide excellent customer service make the best DVD rippers for Mac. This service comes in the form of tutorials and knowledge base on their websites. If you can’t get an answer in those ways, manufacturers should offer email support. When it comes to choose the best DVD ripper for mac, we ought to take the output quality, the speed of conversion into personal demand. From the review we know Dimo Video Converter Ultimate for Mac is superior to other peers on the speed, quality and available for encrypted DVD. Anyhow, hope this Review can help you fast choose an easy-to-use and yet professional Mac DVD Ripping and Copying tool. Now get the 2017- 2018 best DVD Ripper for Mac program for You! I hope you’ll well. Thanks for your reading.